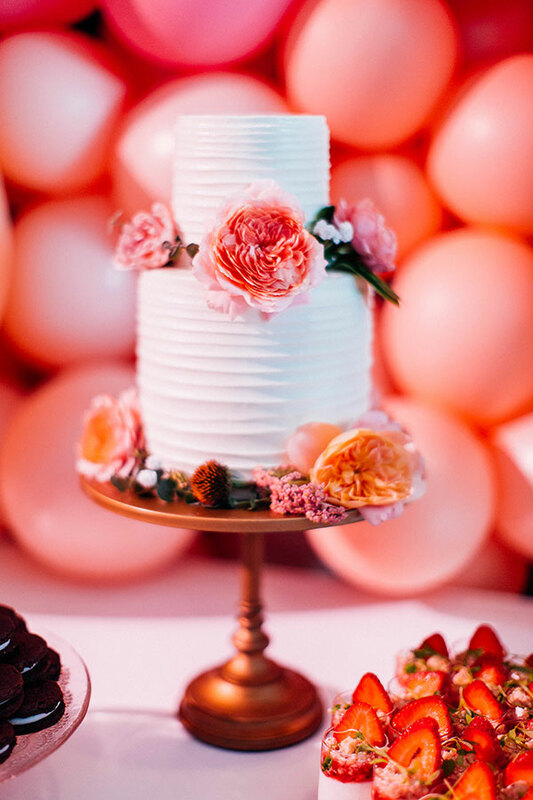 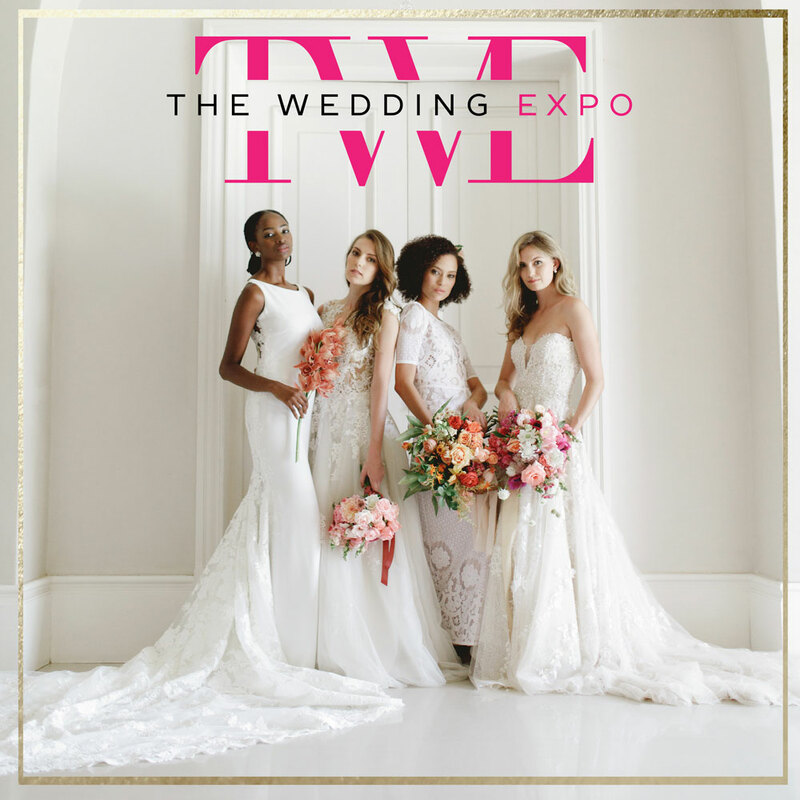 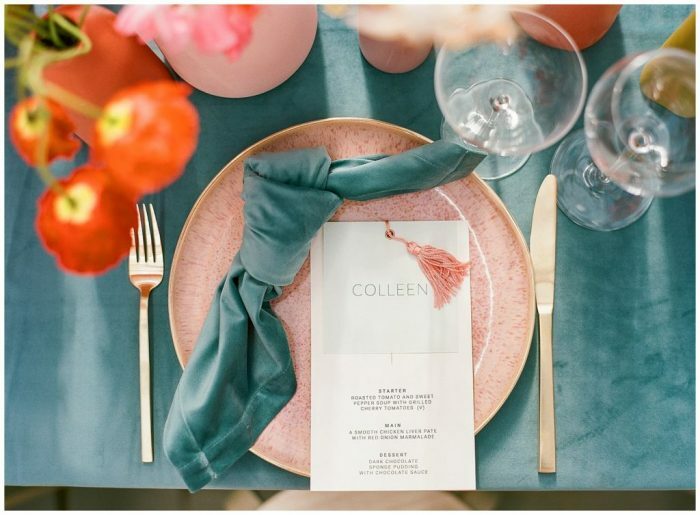 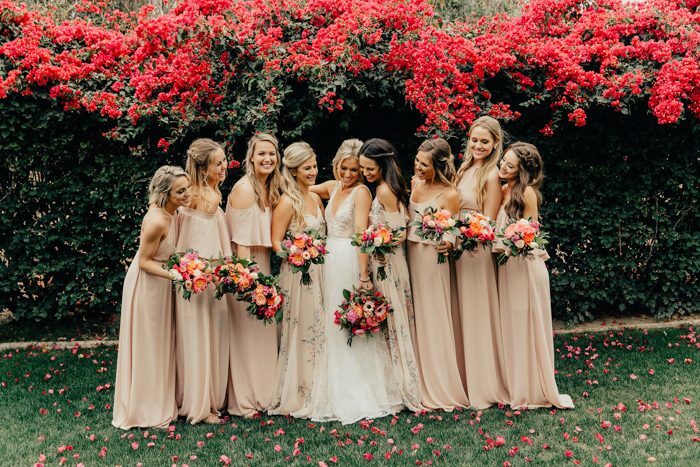 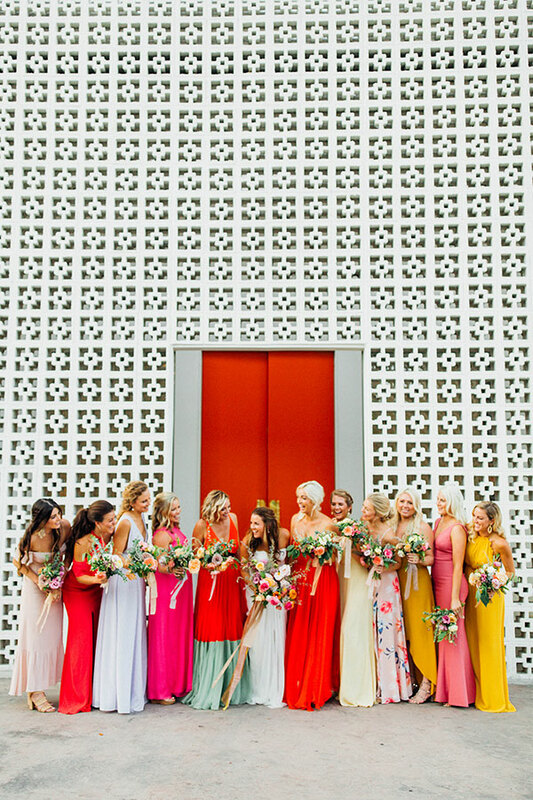 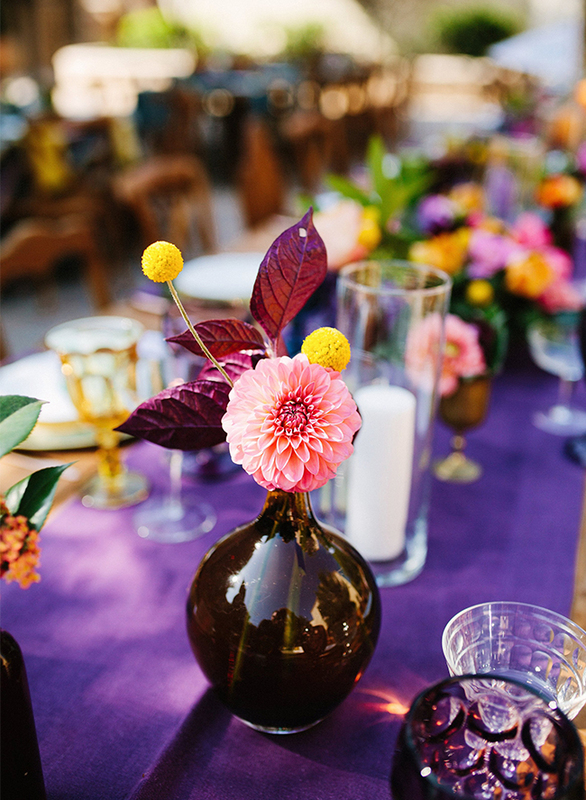 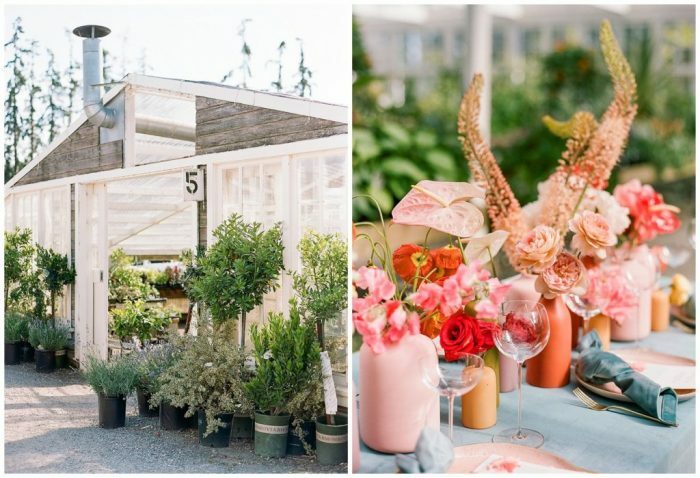 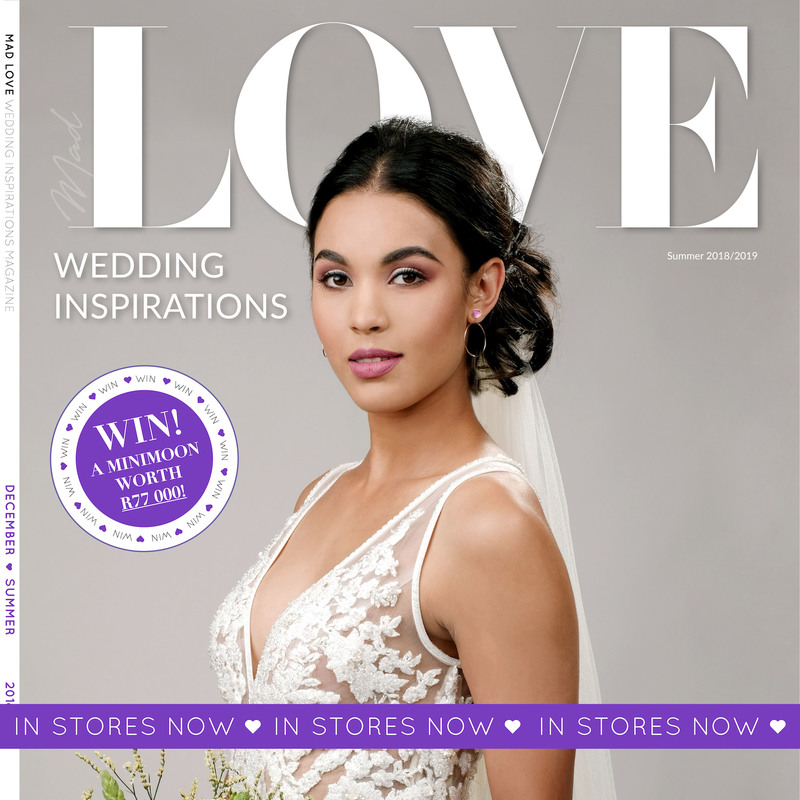 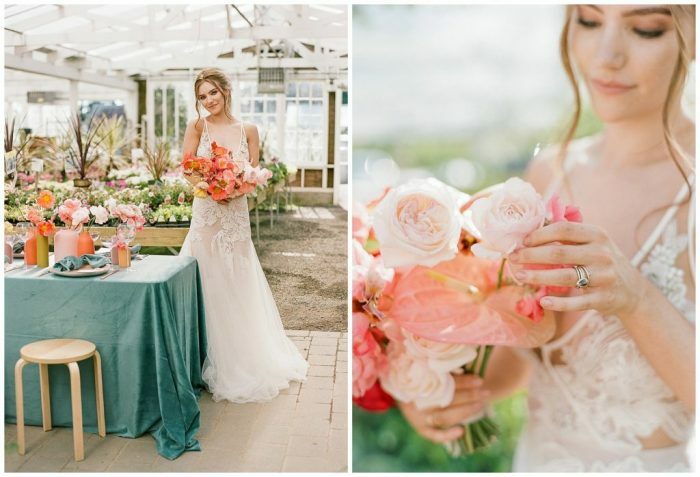 When one talks of wedding colours and themes most of us think soft romantic colours, but these bright colour schemes will have you instantly change your mind. 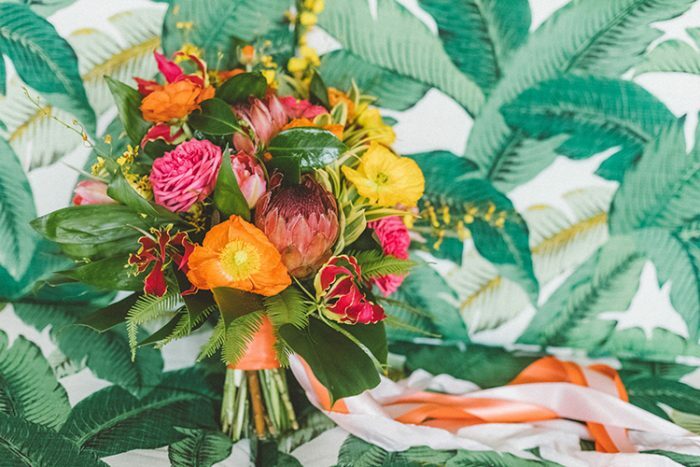 Most commonly used for beach or summer weddings however you are not limited to this, think bold bright colours for a city wedding or moody blooms with a pop colours for a winter or autumn affair. 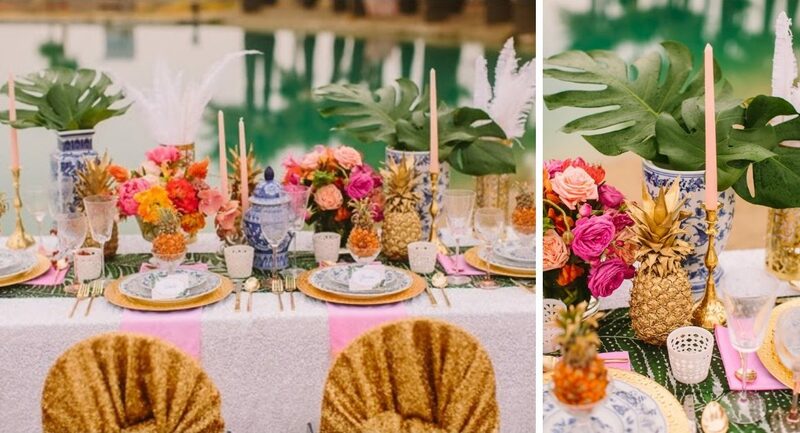 When selecting your bright colour scheme don’t just go for any colour in the rainbow, be selective and choose colours that create a beautiful aesthetic. 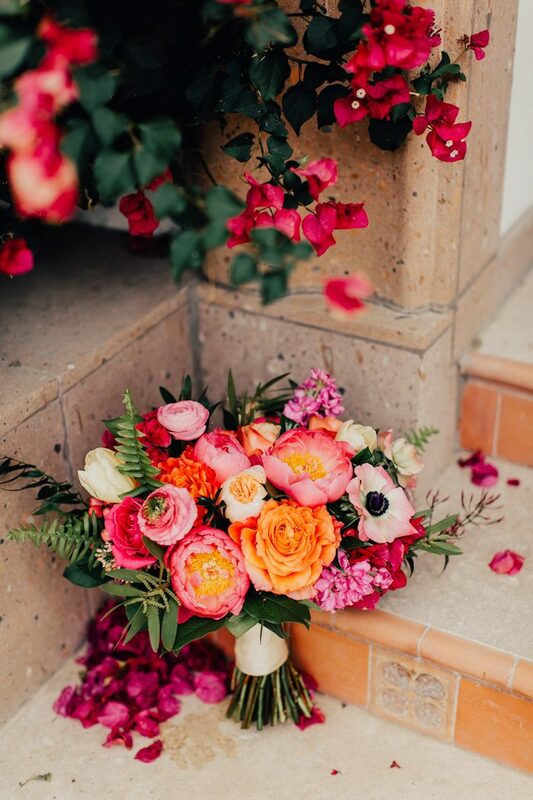 Think about how these colours live together and how you’ll use these colours. 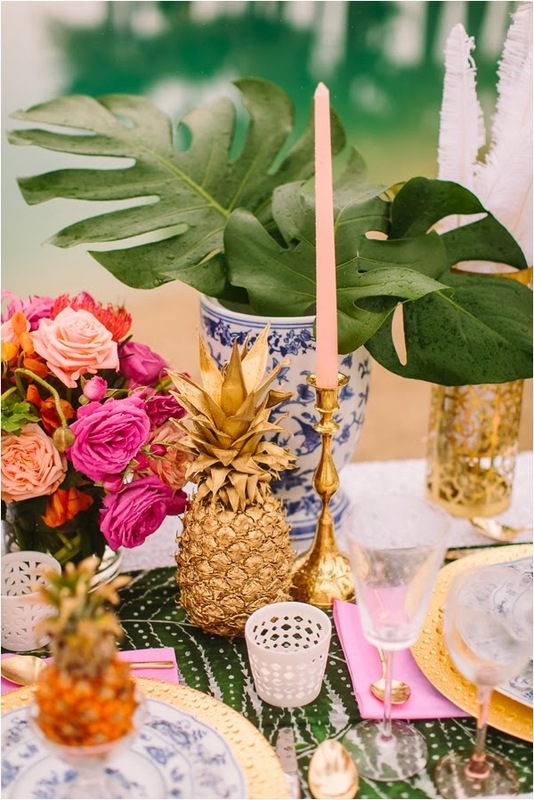 Sometimes it’s more effective to use the bright colours as highlight colours only for that bit of pop. 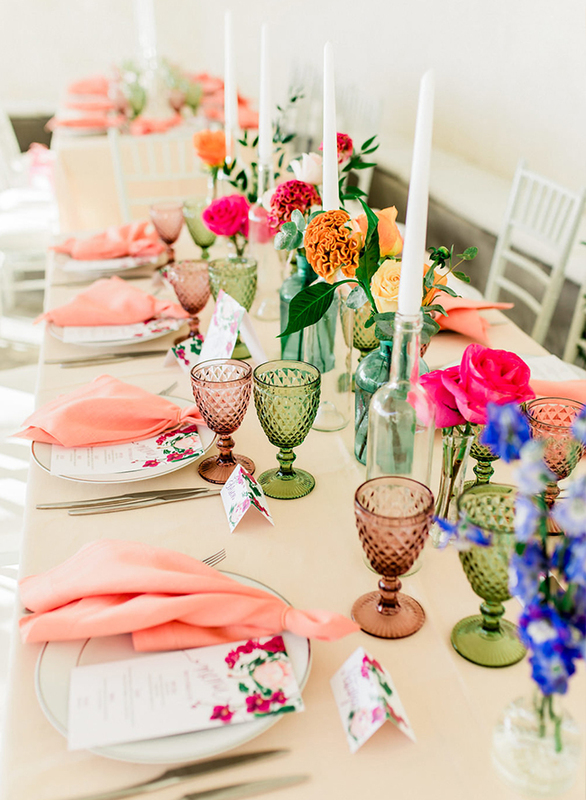 Bright colours against a neutral backdrop is a sure way to make it work. 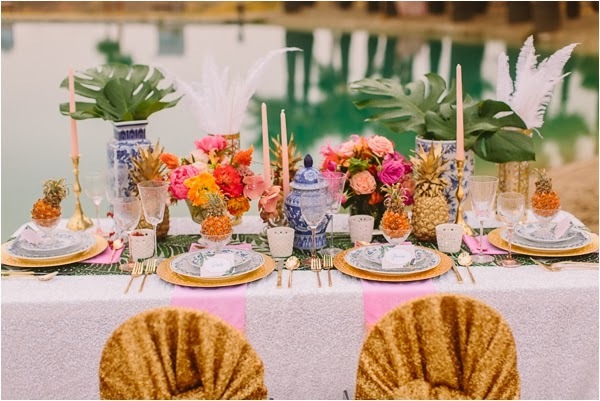 How to find inspiration? 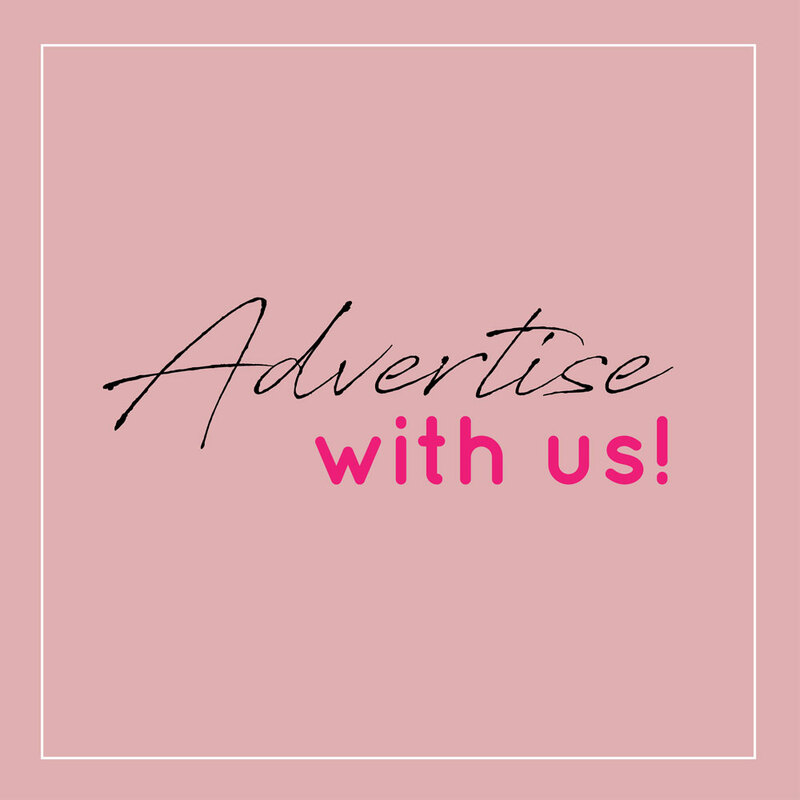 Find a beautiful print of fabric or wallpaper, an artwork, your favourite film or destination. 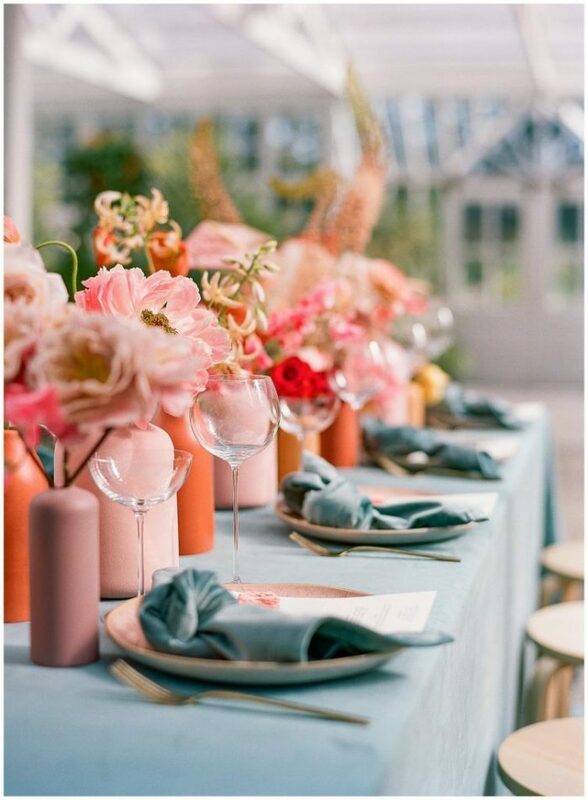 Start here and let your theme develop into something truly unique. 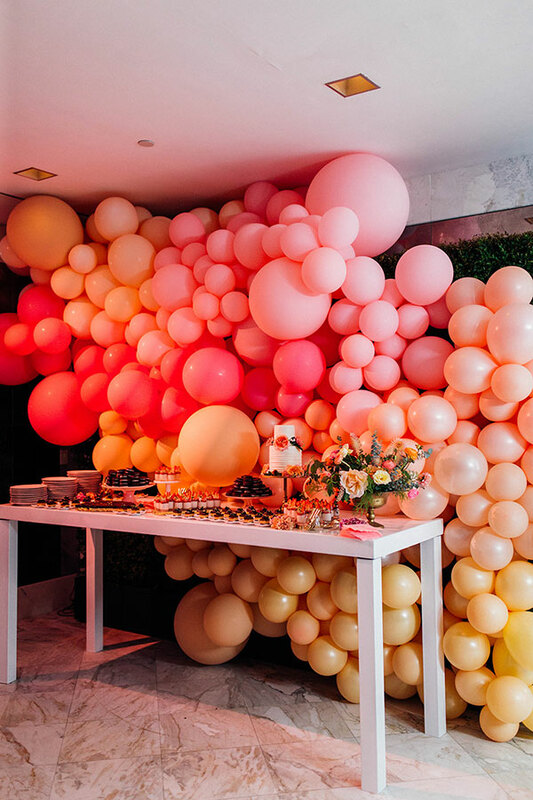 Select colours and décor pieces that work within your theme, it’s important to maintain a well considered theme throughout, but most importantly have fun with it! 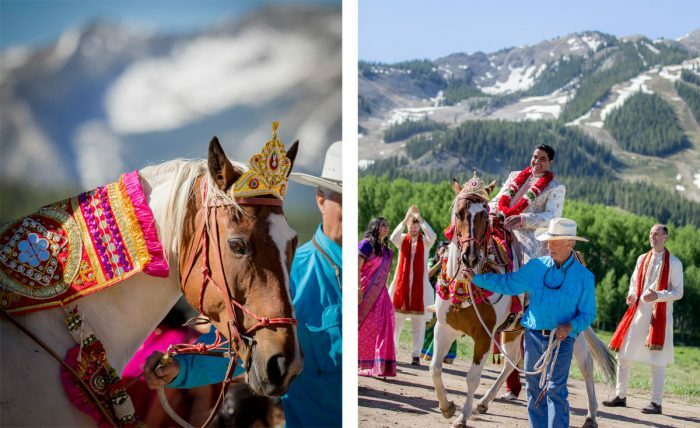 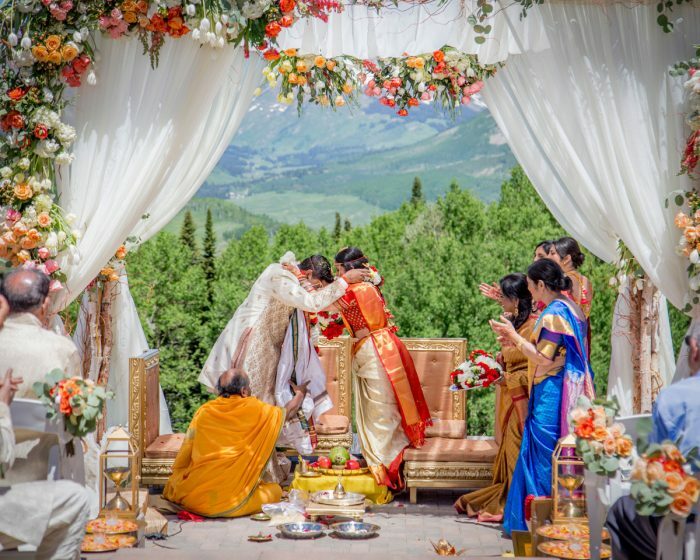 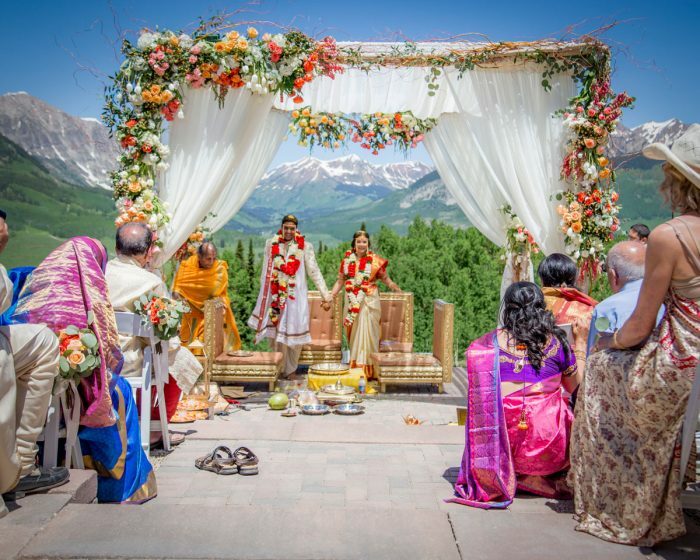 Traditional Hindu Wedding via Luxe Mountain Weddings. 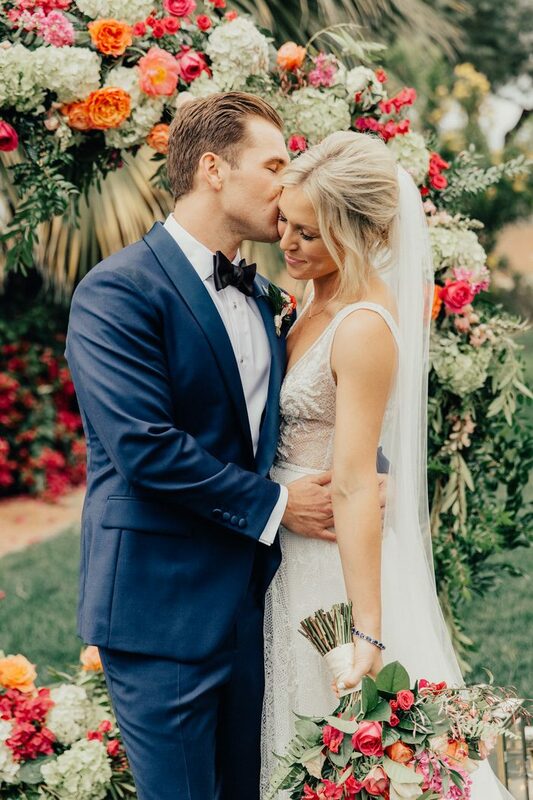 Wedding Inspiration via The Gayneys. 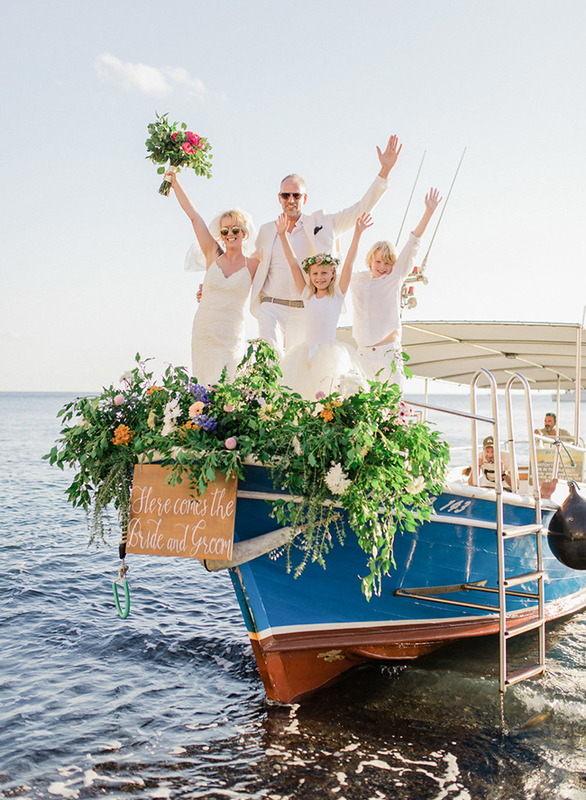 Santorini Wedding via Inspired by This. 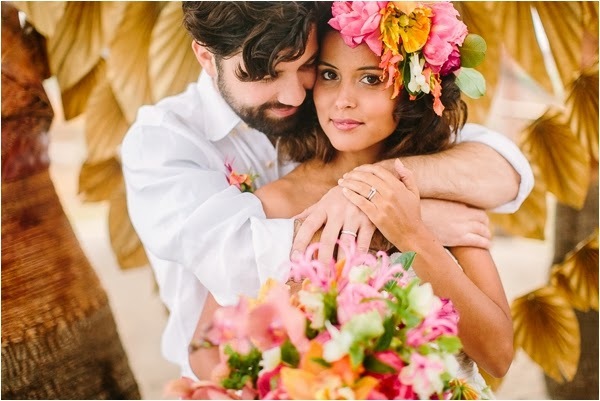 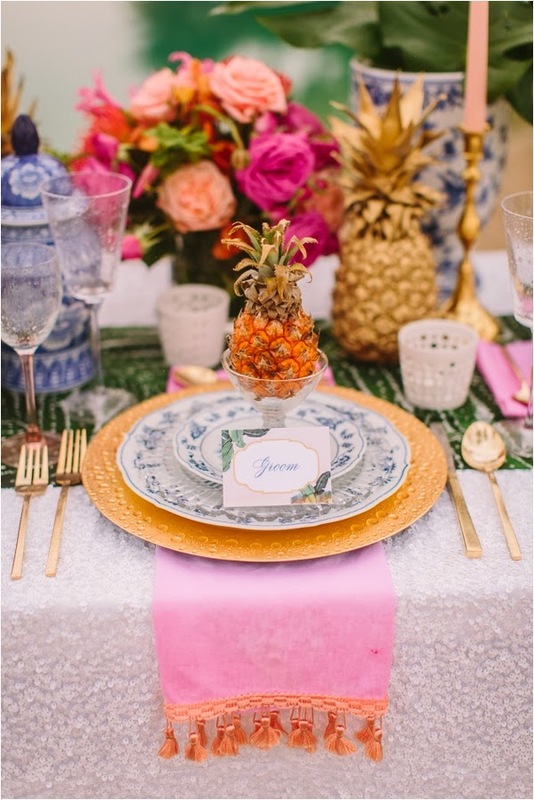 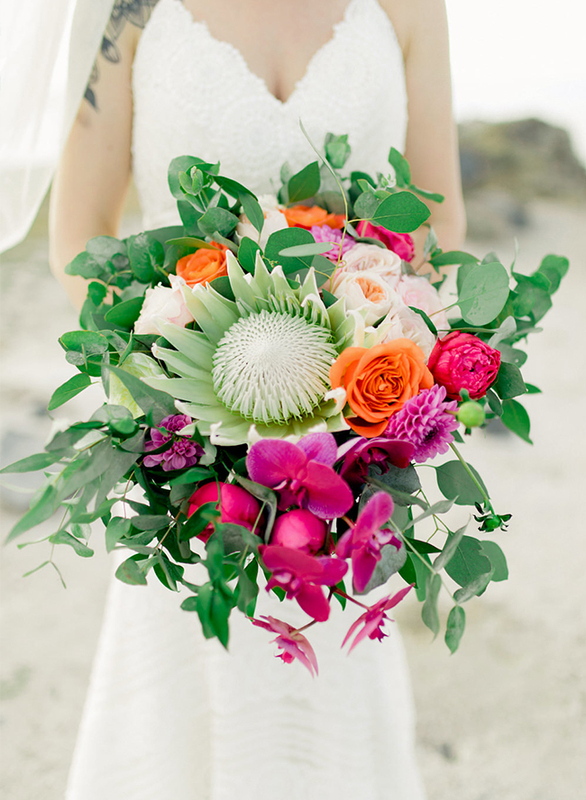 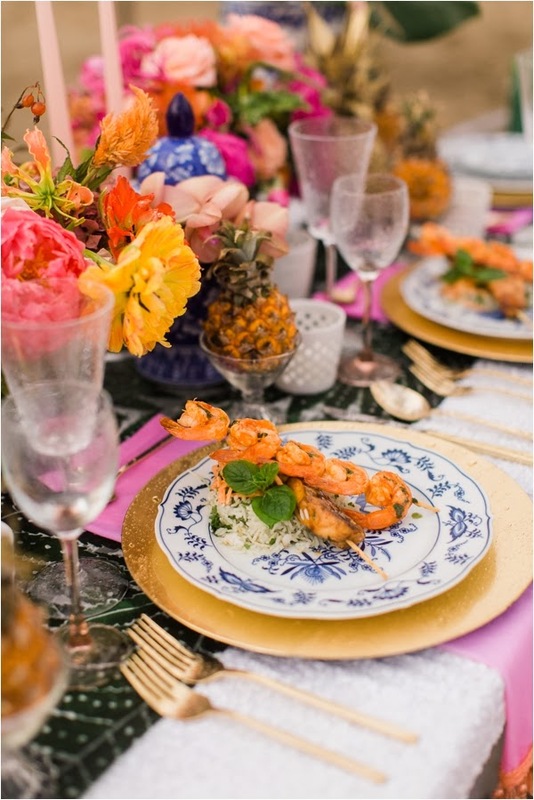 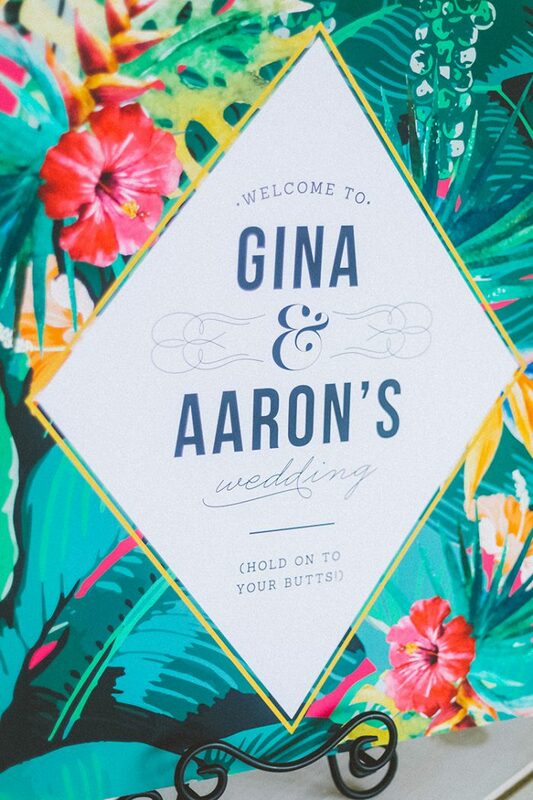 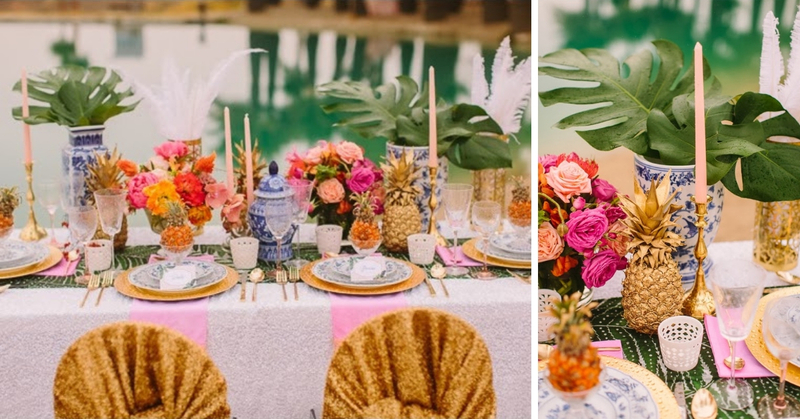 Caribbean Inspired Wedding Shoot via Le Magnifique Blog. 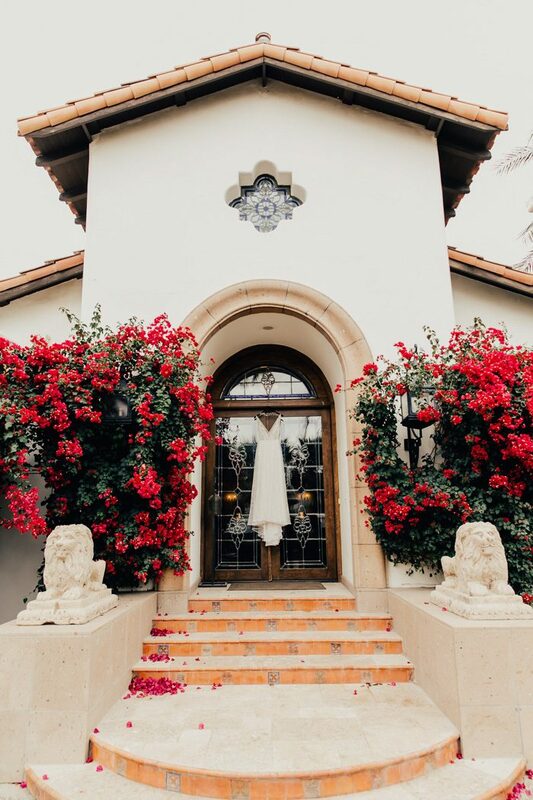 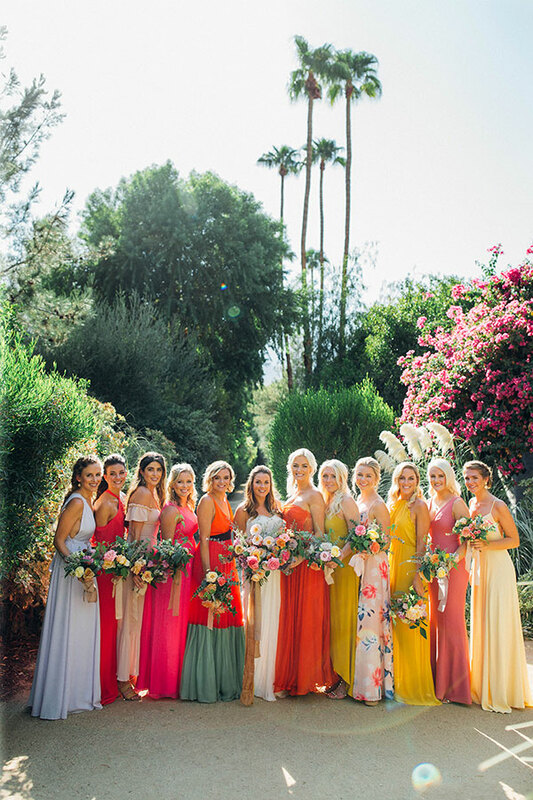 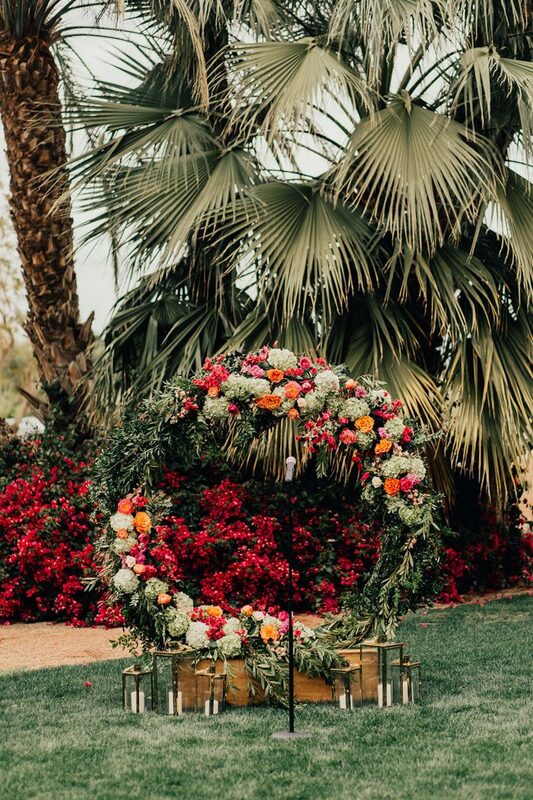 Palm Springs Wedding via Ruffled Blog. 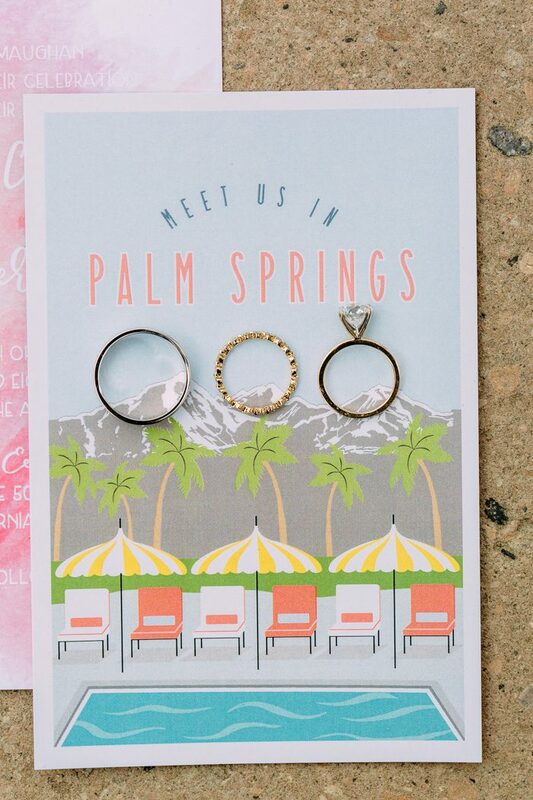 Palm Springs Wedding via Junebug Weddings. 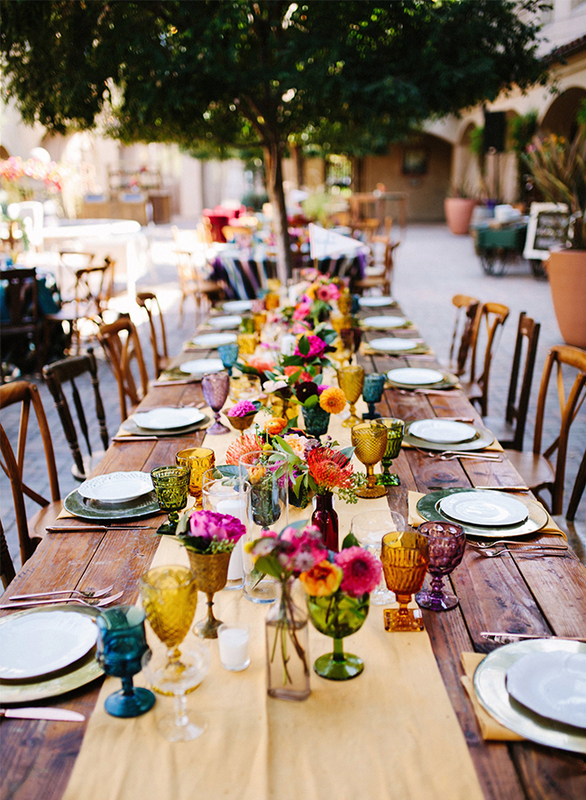 Mexican Fiesta Wedding via Inspired by This. 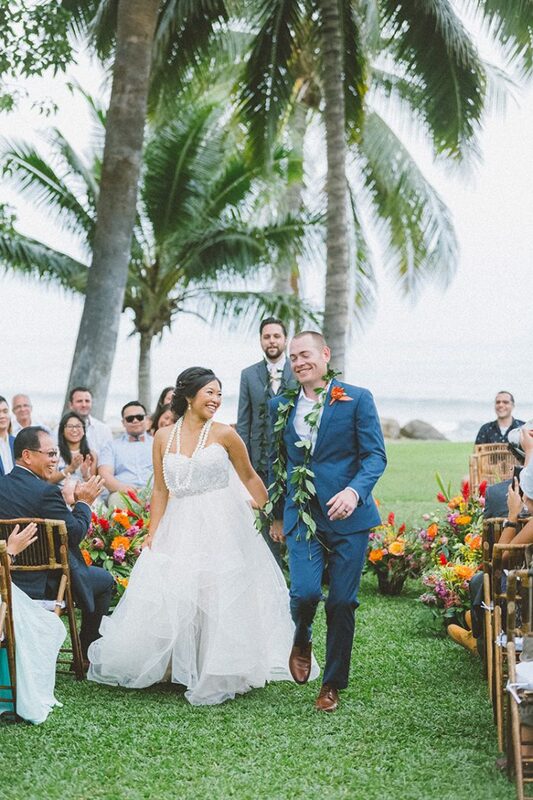 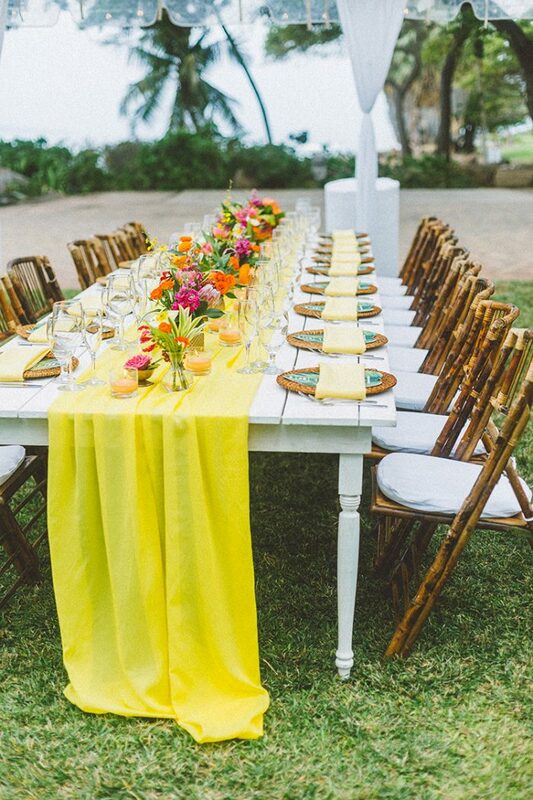 Wedding in Maui via Ruffled Blog.